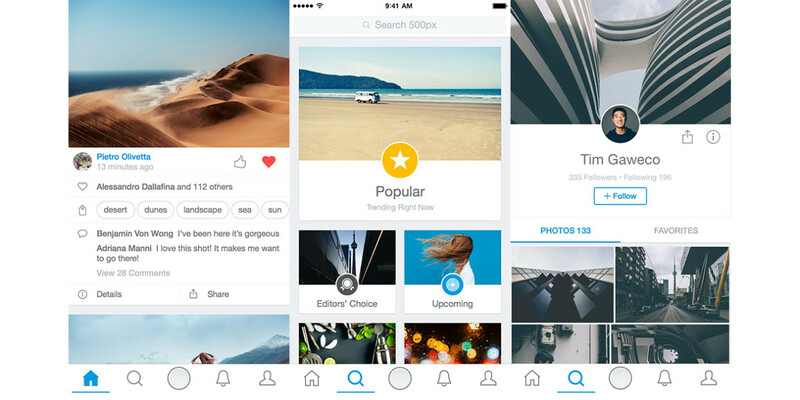 500px, the community for discovering, sharing, buying and selling photography, has launched a fresh redesign of its iOS app. An updated look simplifies the interface and offers new functionality to better showcase and promote photographic work and to facilitate better social networking within the app. This update, the first major redesign of the app since it launched on the iPad in 2011, is designed to expand the community with an appeal to pros and hobbyists alike. It makes photos easier to find and makes it easier for the community to connect with each other. In rebuilding the app from the ground up, targeting both the iPhone and the iPad in a unified interface, the company concentrated on performance, customization and personalization, as well as an upgraded experience that focuses on curation and discovery. A new home feed keeps you up to date with the latest photos from photographers you follow, and now mixes in recommendations for new shooters and connecting with far-flung enthusiasts. A new and improved Discover section ensures a steady stream of photos you would like — plus suggestions on new photographers to follow. A Debut feature acknowledges and highlights new photographers in the community. A more streamlined search lets you easily find important people and photos. 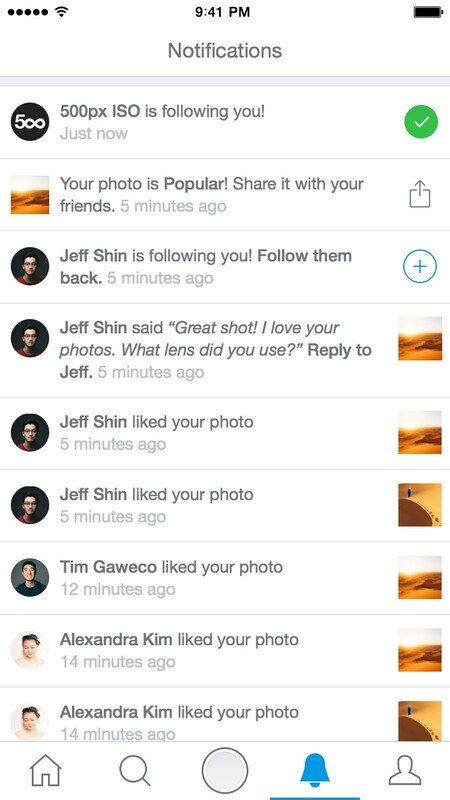 500px has enhanced its profiles so that they look better on smartphones. Each photo is now displayed in the appropriate aspect ratio under an attractive banner and profile photo. The update now makes it easier to upload photos straight from your smartphone. With the latest built-in Adobe editing tools and presets, users can do more to make sure that your photos look the way you want them to. According to 500px, this is just the beginning — the first in a series of updates. The company says it is also redesigning its Web interface in the coming weeks. A similar Android update will be ready later in the year, the company said.